In Almost Famous, Jason Lee's lead singer of the fictional band Stillwater explains his role saying, "I get people off. I find the one guy who isn't getting off, and make him get off". 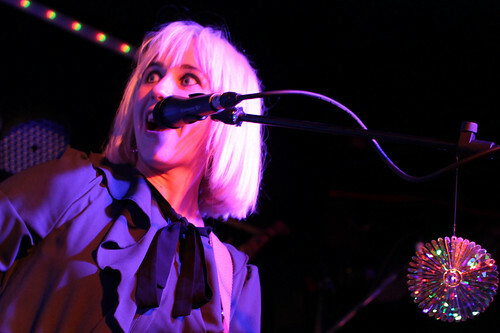 If this indeed is the role of the lead singer, The Joy Formidable's Ritzy Bryan excels. Even the most stoic of audience members is banging their head and singing along by the half way point. She glares and smiles and banters and wails at the audience never once failing to acknowledge their presence and responses to her being on stage. Her guitar is but one set piece she uses in the show in which she continuously grabs the attentional spotlight. Despite opening with the longest track on the album, 'The Everchanging Spectrum of a Lie', the band grab the attention of the audience and maintain it for the duration of the song that nears 8 minutes. As the trashing and increasing fast guitars begin to signal the end of the song, the crowd only becomes more entranced responding the Ritzy energy and guitar stances that could so easy appear cliched but this is something the band's lead avoids. From 'The Everchanging Spectrum of a Lie' they keep it energized continuing with 'Magnifying Glass' and immediately gripping song leading to chants of 'All I know is you know I can' for the audience. I must be careful not to mark Ritzy Bryan as the sole area of focus within the group. Opening with bass player Rydian's driven riff, with 'Austere', bass and drums and brought to the forefront. Rhydian Dafydd and drummer Matt Thomas not only shine, they gleam. In the final moments all components of the group fuse together in a melting pot of instrumental intensity for the song's surging close. 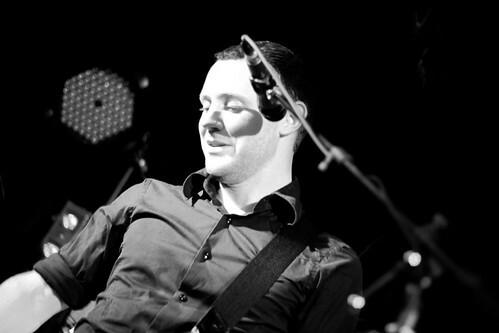 Particularly crowd pleasing tracks in the set are 'Chapter 2', 'Cradle' and '9669'. An inevitable encore elicits favourite, 'A Heavy Abacus' ending the show as strongly as it began. Support was provided by the at times chilling but never uninteresting Creatures of Love. With the stage lit entire by their bedazzled lamps they create a hypnotic and entrancing environment which perfectly matches the tone of the band.